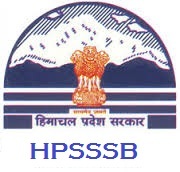 HPSSSB Notification 2018.Himachal Pradesh Staff Selection Commission (HPSSSB) has released a notification for the recruitment of Teacher, Clerk, Stenographer, Junior Engineer vacancies.Check the eligiblity and notification prior to apply for the positions. Last Date for Submission of Application is on August 04th, 2018.. Application fees for General applicant is Rs.360/-, for SC/ST/OBC/PWD/IRDP is Rs.120/-, For EX-Servicemen is no fee. Through online mode from 05th July 2018 to 04TH August 2018 candidates can apply HPSSSB recruitment http://www.hpsssb.hp.gov.in/ to apply directly.